Nikon's new raw conversion and enhancement program is free… but how useful is it? Don't think of Capture NX-D as an image-editor, think of it as a powerful dedicated raw converter for your Nikon. 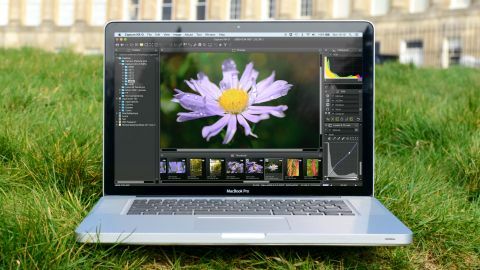 Nikon has ended development of Capture NX2, its premier raw conversion and editing tool. It was a complicated but powerful program that offered the same kind of control as Photoshop (though without layers). Nikon has, however, launched a new application – Capture NX-D. It's not a replacement for Capture NX2, though, because it's far less powerful. In fact, it's much closer to ViewNX 2, the free raw conversion software bundled with all new Nikons, and it's not clear yet whether Nikon will eventually replace ViewNX 2 with Capture NX-D. Essentially, it's a raw enhancement and batch conversion tool for Nikon cameras. It can work on JPEGs too, but the options for improving your images are more limited. Capture NX-D offers a greater range of enhancement tools than ViewNX 2 and swaps to a more modern approach to non-destructive adjustments. These are now saved to 'sidecar' files in a folder with your original images, where ViewNX 2 wrote the adjustments directly into the file header – that's considered bad practice. Capture NX-D has no-nonsense browsing and batch conversion tools. It's quite limited compared to other programs, but it may be enough for most of your needs. It doesn't have cataloguing tools – there's no centralised database for organising and searching through your whole photo collection, but you can browse the folders containing the photos on your hard disk, and for many photographers that's enough. Capture NX-D can browse your image folders but it won't replace a proper cataloguing application. Like other raw conversion programs, Capture NX-D does not make changes to your original raw files, or any JPEG images you've shot, for that matter. Its adjustments are stored simply as processing instructions in files stored alongside your photos. They only become permanent if you use the Convert files button to create a new JPEG or TIFF image with the adjustments applied. You don't have to edit and convert your images individually. You can use Capture NX-D's batch processing option to convert a whole folder full of images with a single set of adjustment parameters for all of them, or with individual adjustments you've already applied to each one. Converted images can be saved with new filenames in new folders if you like. Capture NX-D doesn't have any cataloguing tools and you can't create localised adjustments. It is limited, then, but its key advantage is that it precisely replicates the Picture Controls, white balance and tonal controls of your Nikon – and you don't get that with third-party raw converters. Capture NX-D can carry out sophisticated and wide-ranging adjustments, from automatic lens corrections (with Nikon lenses) to subtle selective colour shifts. But that's as far as it goes. It can make the shots from your camera look as good as possible, but it's not an image editor in the sense that Photoshop is. It also feels quite flaky. On our test machine (a MacBook Pro with 8Gb RAM) it frequently freezes, despite being regularly updated to the latest version.